Hobbies, crafts ads in Melbourne. Thank you for visiting our free advertising website Hobbies, crafts, Melbourne section. We provide high response free classifieds and free advertisement. Use our online free Hobbies, crafts classifieds placement system to find, list, offer Hobbies, crafts online! Whatever your hobby, we have it. Check out our website for our extensive range from RC, Model Trains, Diecast and general parts and supplies. Contact us today. Website: https://metrohobbies.com.au/ Phone: 03 9650 4817 Email: sales@metrohobbies.com.au Address:	21 Swanston St, Melbourne VIC. 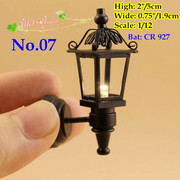 http://www.ebay.com/itm/321932270558 USD 12.50 * Scale: 1/12 or 1/6 * Use battery * Free ship. Paint is one of the most important elements in an artist's life. We at Hampton Art Supplies are well aware of this aspect and hence we provide a range of the best oil paint. We use superior quality of raw materials and pigments, we never compromise on quality when it comes to providing products to our clients. A large collection of Diesel, Electric & Steam Locomotives, Passenger Coaches, Wagons & Carriers together with Remote Control Track Change Points, Power Controllers, Trackside Buildings, Catalogs etc.. All worth above Rs 850, 000.00 will be sold for Rs 400, 000.00 (AUS/US$ 3000) ONO as a single stock. Individual items will not be sold as the owner has give up a valuable expensive hobby due to personal reasons. If you are looking for scrapbooking suppliers Victoria, then you have just reached the right place. We deal with branded scrapbooking supplies and one of the best suppliers of these products in Australia. No matter what brand you are looking for regarding scrapbooking supplies, you will get that right here. Create one of a kind Christmas decorations and give them to your friends or proudly display it at home with the help of craft books. 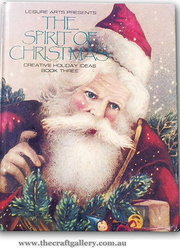 The Spirit of Christmas » Creative Holiday Ideas Book 3 is just one of the numerous craft books you should have. You will definitely have a great time creating Christmas tree ornaments like tree toppers as well as wreaths and bows that could be the conversational piece this festive season. Looking for picture frame wholesalers in Melbourne? Frames NOW offers custom and readymade photo frames at affordable prices. To know more, call us at: 1300 437 263! For more details visit: http://www.framesnow.com.au/products/wholesale-bulk-orders/. Made from horn, size around 20 cm length, balinese carving. COME AND SEE AT MR M WAYAN WETJA'S GALLERRY, WOOD AND ELEPHANT TUSK SCULPTURES. HIS NAME IS MR M WAYAN WETJA'S, MY GRAND FATHER LEAVED THE WORLD ON SEPTEMBER 18TH 2009(1926-2009)HE HAS BEEN CARVING SINCE HE WAS 14 YEARS OLD AROUND IN 1940.HE STARTED WITH COCONUT SHELL MATERIAL, MADE A COCONUT SHELL HAIRCLIF. Made from coconut shell, for lamp holder/interior, size around 24 cm diameter, production capacity is 1000 pcs/month.We can international shipping..
Made from pine wood material, size around 20 cm height, Balinese carving, production capacity is 2000 pcs/month..
Made from pine wood material, size around 30 cm length, Balinese carving, production capacity is 500 pcs/month..
Made from pine wood material, size around 40 cm length, Balinese carving, production capacity is 2000 pcs/month..
Made from mahogany wood material, size around 25 cm height, Balinese carving, production capacity is 100 pcs/month..
Made from pine wood material, size around 20 cm height, Balinese carving, production capacity is 1000 pcs/month..
Made from coconut shell, diameter around 28 cm, production capacity is 500 pcs/month.We accepted paypal and Bank transfer payments..
Made from selected wood, use for play chess, balinese carving, size around 40 cm length.Production capacity is 500 pcs/month..
Made from coconut shell, diameter around 32 cm. COME AND SEE AT MR M WAYAN WETJA'S GALLERRY, WOOD AND ELEPHANT TUSK SCULPTURES. HIS NAME IS MR M WAYAN WETJA'S, MY GRAND FATHER LEAVED THE WORLD ON SEPTEMBER 18TH 2009(1926-2009)HE HAS BEEN CARVING SINCE HE WAS 14 YEARS OLD AROUND IN 1940.HE STARTED WITH COCONUT SHELL MATERIAL, MADE A COCONUT SHELL HAIRCLIF. 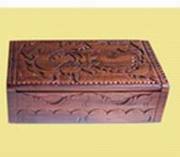 Made from coconut shell, size around 35 cm diameter, use for lamp holder, production capacity is 1000 pcs/month..
Made from mahogany wood, size around 30 cm length, production capacity is 1000 pcs/month..
Made from pine wood, size around 25 cm height, Balinese style carving, production capacity is 1000 pcs/month..
Made from ebonit/black wood, use for ring or accecories box, size around 25 cm length.production capacity is 500 pcs/month..
Clay Flowers by Patty Clay Flowers’ products are proudly Australian made. They are exquisite and lifelike plants / flowers. Each one is hand crafted from good quality air dry clay. The flowers will not easily break and the stems can be gently reshaped. 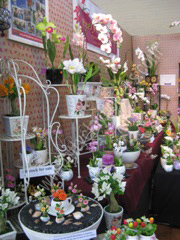 A great Idea for Beautiful Home Decoration, Gift, Souvenirs, and Collectable. Made from sono or black wood, size around 30 cm length, use for table name in your office contain your name, Balinese style carving, production capacity is 300 pcs/month..
Cherry Blossom Our signature pillar candles are made with natural plant wax and pure cotton wicks, wrapped in luxurious embossed paper labels. CHERRY BLOSSOM is a delicate fragrance which epitomises the Blue Mountains and our hometown of Leura in the Springtime. http://www.wyck.com.au/buy-online/signature-pillar-candles/cherry-blossom/. Mohair for Sale approx 15kilos/15bags Pick up only (Yarra Valley) $150.00 ' Usually $20.00per kilo, s $150.00 for 15kgs is a bargain !!!!!!. Online/mail order store specialising in counted cross stitch charts available to customers either by email or printed & posted. We have over 4, 000 designs from the UK & US that are not available in shops in Australia. Our designers create their charts from artwork & photographs. 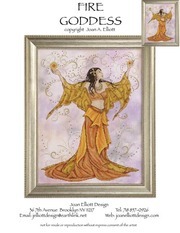 Also available are Qsnap stitching frames & a number of counted cross stitch kits. Australia free ads for Hobbies, crafts, Melbourne, Hobbies, crafts free ads Melbourne, Hobbies, crafts for sale Melbourne, Hobbies, crafts to buy in Melbourne. Find on this page free classifieds for Hobbies, crafts in Melbourne. This listing includes classifieds for sale and to buy in Melbourne. FREEADSAustralia Melbourne offers you a platform to post free advertisements or classifieds for Hobbies, crafts in Melbourne. FREEADSAustralia helps you search, find buy, sell, rent or hire in various categories like apartments, goods for sale, local services, cars , jobs and many more in Melbourne. If you posted an advertisement in category Hobbies, crafts of FREEADSAustralia Melbourne before please use Edit my ads button to change or cancel your ad. Hobbies, crafts Melbourne ads Melbourne, Hobbies, crafts classifieds Melbourne, Hobbies, crafts free ads Melbourne, ads for sale Melbourne, ads to buy Melbourne, FREEADSAustralia. Find here ads for sale, to buy and rent in Melbourne. Goods for sale in Melbourne, vehicles for sale in Melbourne, Melbourne real estate for sale, Melbourne property for sale, property for rent in Melbourne, business ads in Melbourne, Melbourne business classifieds, services in Melbourne, Melbourne services ads, jobs in Melbourne, pets for sale in Melbourne, Melbourne dating, Melbourne cars for sale.